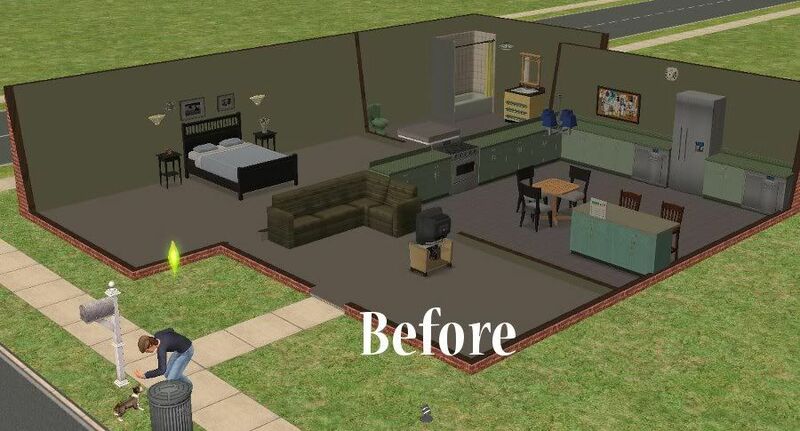 It never really made sense to me that sims would sell their bathtubs, counters, sinks, fire alarms, lights, and other things. Who does that in real life? So I've made a mod that will make residential lots be lightly furnished when all of the sims in a household are moved into the neighborhood. So when a new family moves in they have the basic necessities. Some things to be aware of, it doesn't work with everything. Nothing from Seasons or Family Fun is included because I don't have Seasons, and I can't get Family Fun to show up in my filetable in simPE. Also, even though I didn't make it available for these things they seem to be included: small kitchen appliances, and table plants only if they are placed on counters. Here is a list of all the things included: Most of the toilets are included, all of the baths and showers, all of the wall mirrors, all of the counters and islands, all of the small alarms, all of the wall lamps, all of the ceiling lights, most of the misc. and outdoor lights, all but one of the stoves are included, all of the dishwashers and trash compactors are included. I wasn't able to get it to work for hot tubs or the Bon Voyage sauna. Things like paintings, sofas, dining tables, TVs, sculptures, and stereos are not included. Enjoy! Love this mod, been looking for something like this for so long, thank you. You might have to only install the files for the games you have. So, is this a downloads folder item or a specific folder kind of thing? Okay, it works now. Dunno why it didn't at first. BHAV coding is so weird I guess. So I moved a Sim from a house that was pre-existing in the 'hood. Maybe it works only for houses that are already in the 'hood and not extra houses that you add in? At any rate it works for houses already in a neighborhood like Pleasantview. Thanks again for this awesome mod.